Finally… I have got my utahREpro.com site up and running. I have moved all of my posts to that site and will be posting regularly there. Thanks for the great free site WordPress. Had a blast here and look forward to pressing more words on the new site! Click the image of my new site below to be magically transported there! 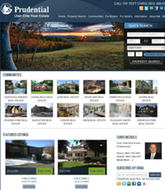 Chris is the managing broker for Prudential Utah Elite Real Estate in American Fork, Utah. His passions include spending time with his family, Real Estate, Social Media, traveling, reading, movies, golf, dirt biking and so much more. Chris is a graduate of the National Association of REALTORS (NAR) Leadership Academy as well as the Utah Association of REALTORS (UAR) Leadership Academy. He has served in many capacities in the real estate industry at the national, state and local levels, including: 2013 Treasurer of the Utah Association of REALTORS 2011 President of the Utah County Association of REALTORS (UCAR) 2011 REALTOR of the Year – UCAR NAR Federal Political Coordinator assigned to US Senator Mike Lee 2011 NAR Strategic Planning Committee 2010 – 2013 NAR Public Policy Coordinating Committee 2011 Dean of the LeadershipUAR Program Chris has been a licensed REALTOR in the State of Utah since 2004. He has been recognized both nationally and locally by Prudential and was inducted into their Hall of Fame in 2010. This entry was posted in Real Estate and tagged Chris Nichols, utahREpro. Bookmark the permalink.